So this one I obviously had to drag myself out of bed because I remembered to take my photo as the Nyquil was hitting me. 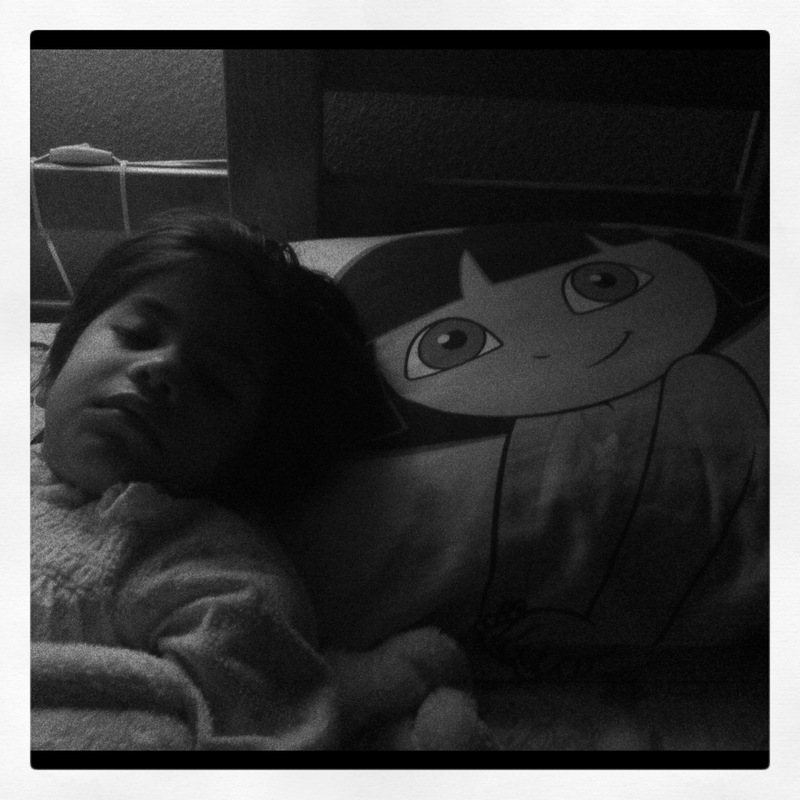 This is my little one sleeping with Dora. Low light settings are difficult to get used to with the iPhone. With my own regular cameras I can adjust shutter speed as needed, but I have yet to figure that out with my phone. Still, a sweet picture of rare quiet and peace. This entry was posted in Instagram, Parenting, Project 366 and tagged baby, camera, Dora, girl, Instagram, iphone, low light, project 366, sleeping. Bookmark the permalink.